I'm not going to lie. Our garage is a mess!! After having a yard sale last weekend we managed to clear out a TON of stuff and now I am on the search for some organizing inspiration. Here are a few fantastic ideas that I came up with. Overhead Storage - This would be a great place to store holiday decor and camping gear that does not get used often! Using 2x4s and plywood strips, you can customize them to fit any size of tote. 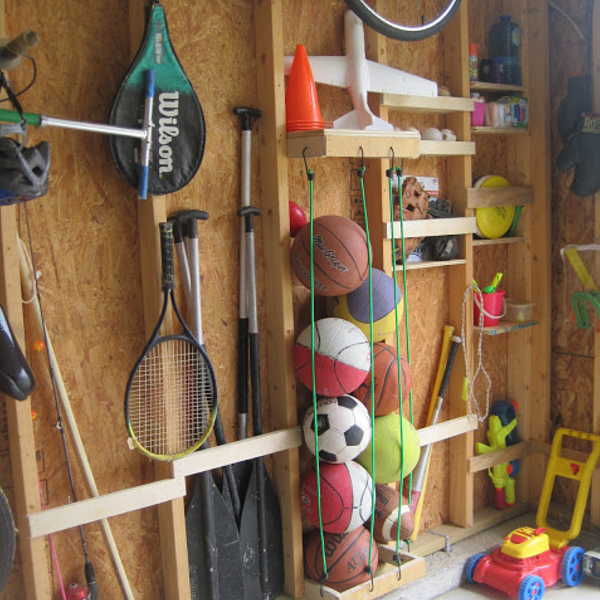 Stud Storage - I love the idea of using the space between studs to store items such as fishing poles and sports equipment. Bungee cords and wooden slats can used used to corral all sorts of items. 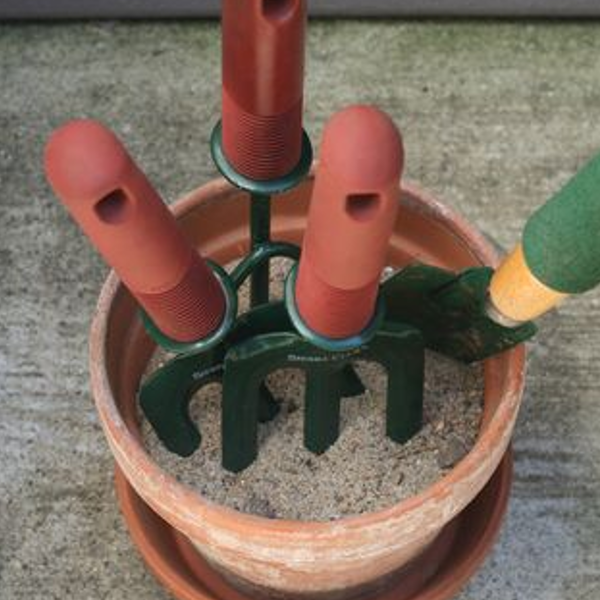 Clay Pot Storage - Not only is this a great idea for storing garden items but adding sand can also help keep your small garden tools rust free. 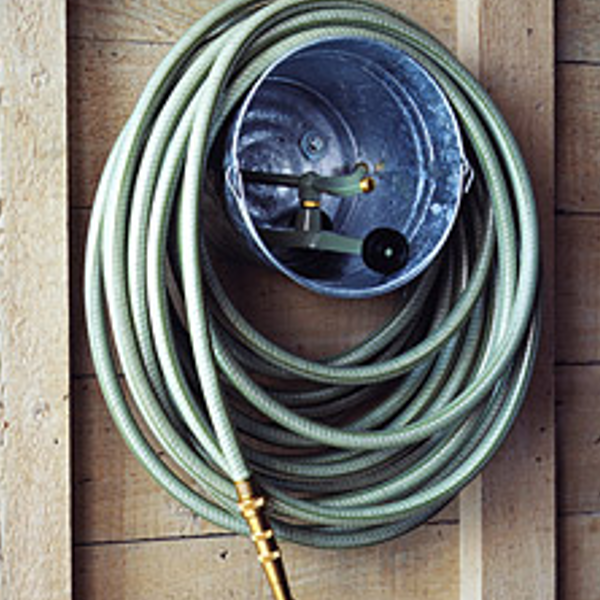 Bucket Hose Storage - A bucket hanging from the wall is the perfect place to store your garden hose as well as any sprinklers and other hose connections. 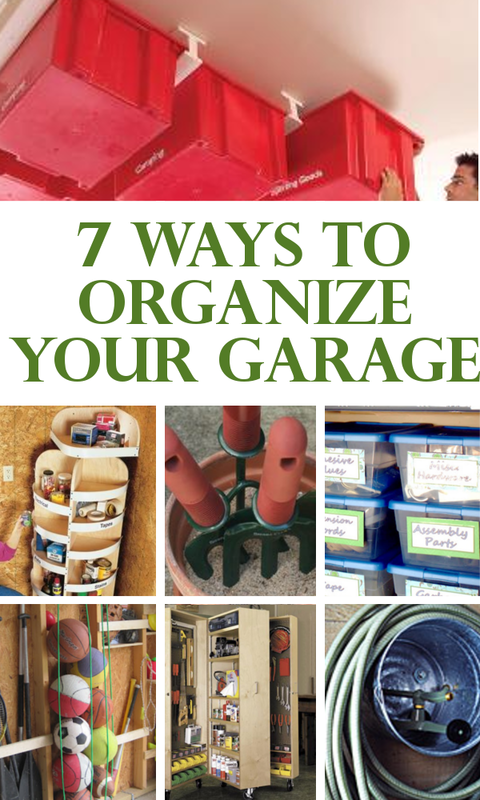 You could also use the same idea with recycle cans and smaller hoses or extension cords. Clear Bin Storage - I've found similar bins at Walmart for less than $1 a piece. 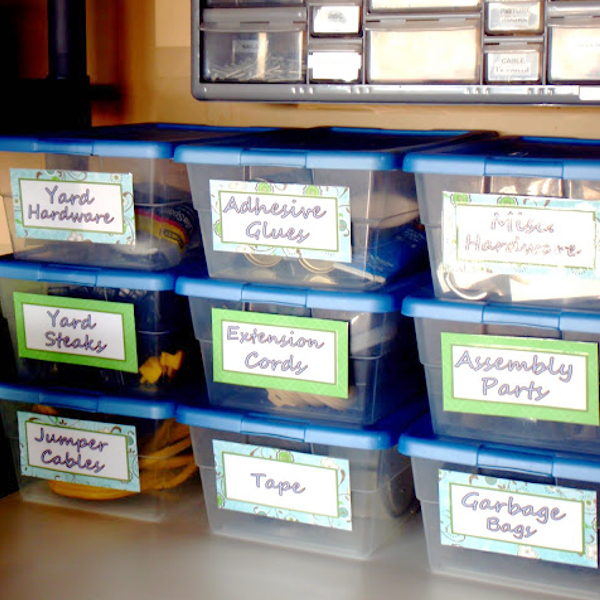 Such a great way to organize smaller items that would get lost inside those large totes. Corner Storage Project - What a great way to use corner space for organizing items. Lazy Susans allow it to rotate for easy access. 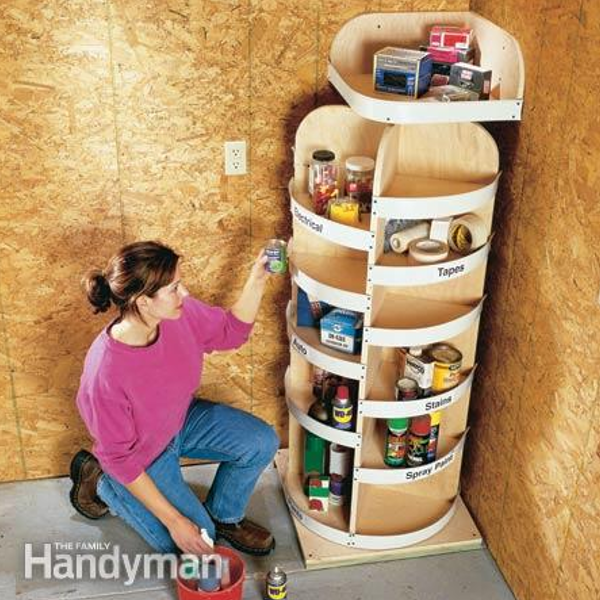 You can also add cans or small buckets to the shelves to store smaller items such as screws and nails. I especially like the overhead storage and corner storage project too. 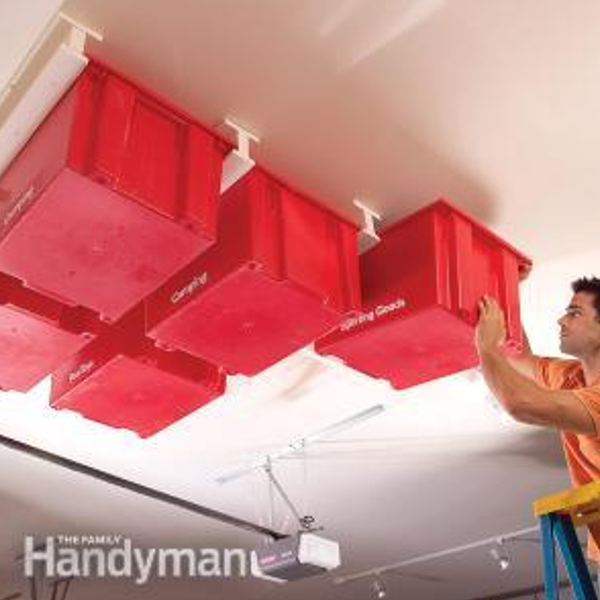 The overhead storage allows a full maximizing of space without taking up ground space and ceiling is always not utilized at all, thus this overhead storage is a good way to use it. As for the corner storage, it sits really well by the side and uses both the left and right corners, increasing the amount of space. I have been looking for some creativity in my own garage, even in my basement! It looks you found the best way to handle things are, most especially in a messy place! 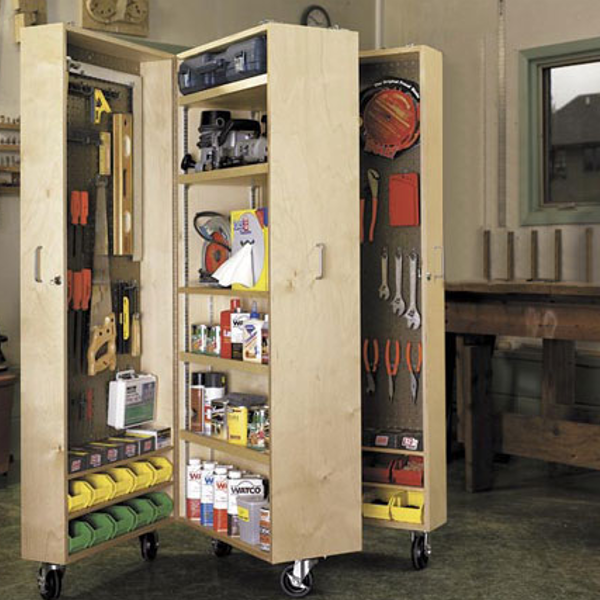 I love the rolling storage cabinets, it looks pretty awesome! Creative!